Sounds, colors and people fill a Levitt lawn, infusing a palpable energy into an underused public space. 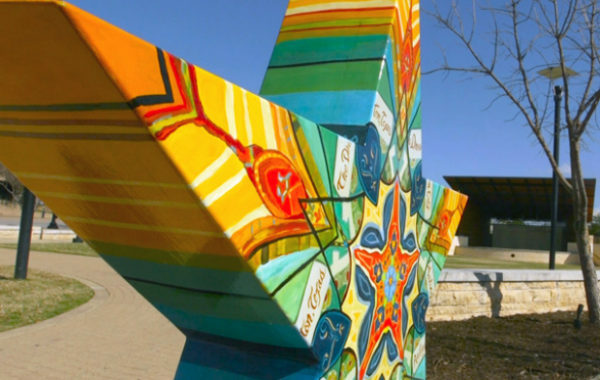 More and more, public art—whether it’s a temporary installation, a permanent mural, or an interactive sculpture, to name a few—is becoming part of the Levitt experience across the country. 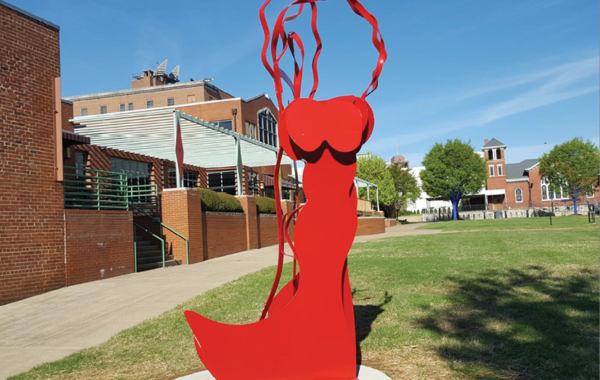 Below are some of the exciting ways Levitt communities have embraced the multidimensional power of the arts in public spaces. Sight. Smell. Touch. Taste. Sound. We experience life through our senses. 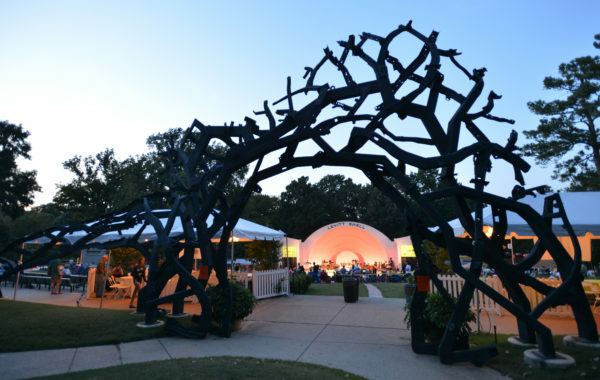 Music-themed public art creates immersive, multi-sensory musical experiences for Levitt concertgoers and beyond. 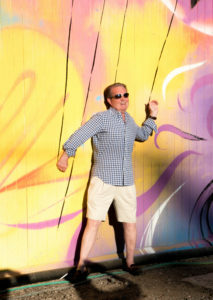 Carson City Mayor Bob Crowell interacting with Bryce Chisholm’s new mural at Levitt AMP Carson City. 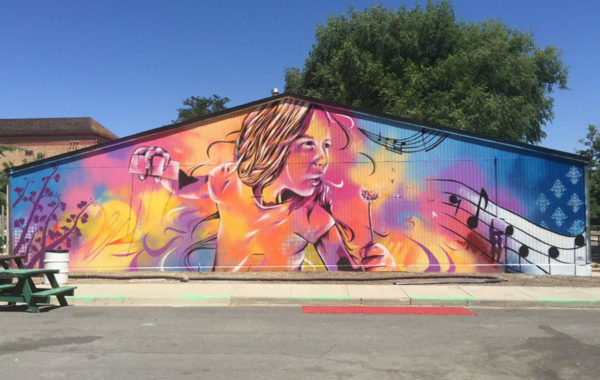 While listening to the eclectic sounds of the Levitt AMP Carson City Music Series in Nevada, concertgoers are invited to grab hold of oversized marionette strings and become part of Bryce Chisholm’s colorful mural. 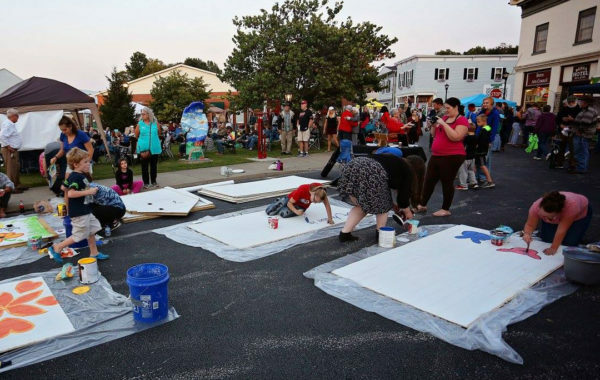 Seeing the Brewery Arts Center continually bring people together through innovative arts programming, the Downtown Visitor’s Association found King Street—where Levitt Carson City takes place—to be the ideal spot for the city’s latest mural. Energetic hues depict a young girl holding a marionette and blowing a dandelion made of music notes into the night. 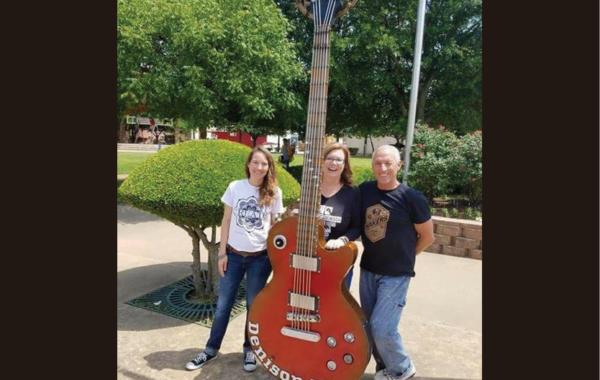 Walking to a Levitt AMP concert through downtown Denison, Texas, takes concertgoers on a musical journey before they even reach Heritage Park’s lawn. 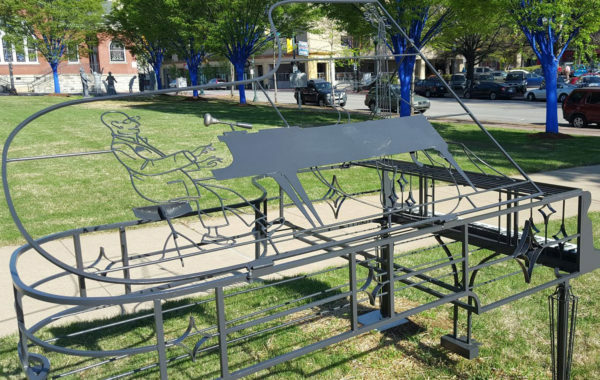 Music-themed art creates unexpected fun in the area surrounding Levitt AMP Denison—from Main Street’s plethora of interactive musical sculptures (including a new eighth note bike rack! 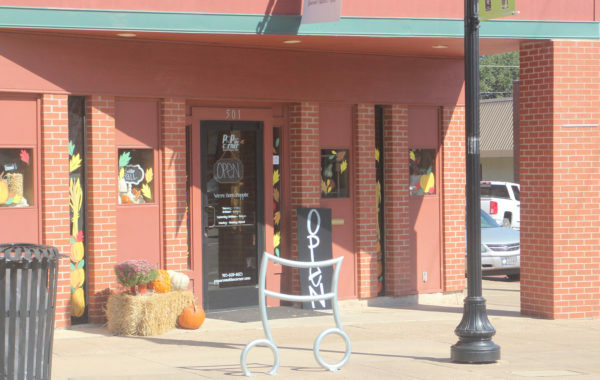 ), to the colorful streetscape project that transformed a sidewalk crossing into a life-size keyboard painting, to the photo op with a larger-than-life guitar that intrigues passersby of all ages. 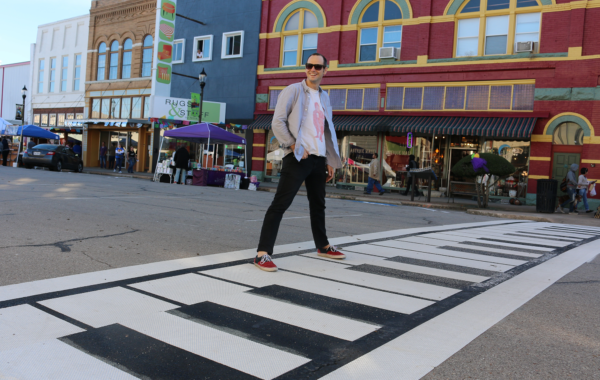 Every musician who takes the Levitt AMP stage in Sheboygan, Wis., steps into a piece of community-driven public art. 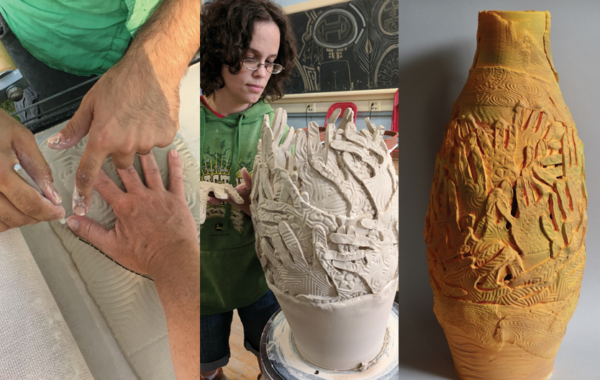 M.I.K.E (Musically Integrated Kiosk Environment)—a collaborative project between the John Michael Kohler Arts Center and its community partners—was brought to life by Wisconsin artist Richard Saxton and Indiana sound artist Stuart Hyatt. 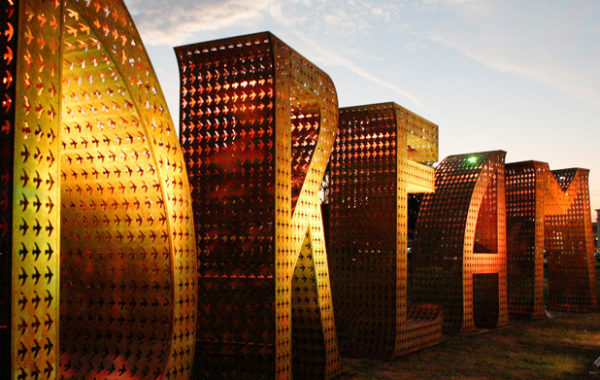 The creative duo led college students and community members in transforming discarded everyday objects—like grain bin parts—into an extraordinary community asset. 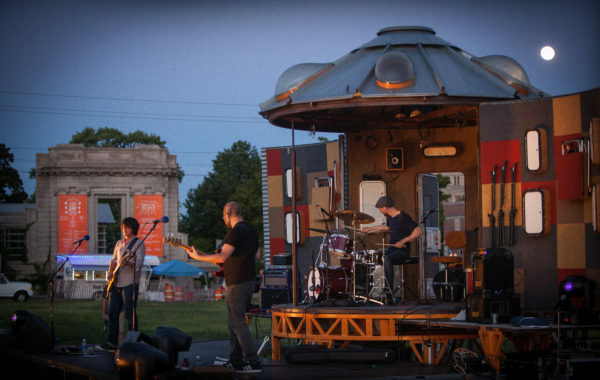 This one-of-a-kind mobile sculpture-meets-stage-meets-recording studio has been a platform for Levitt AMP Sheboygan artists, as well as a vehicle for creating a community-wide recording project—featuring more than 70 musicians, composers, storytellers, poets and other community members. 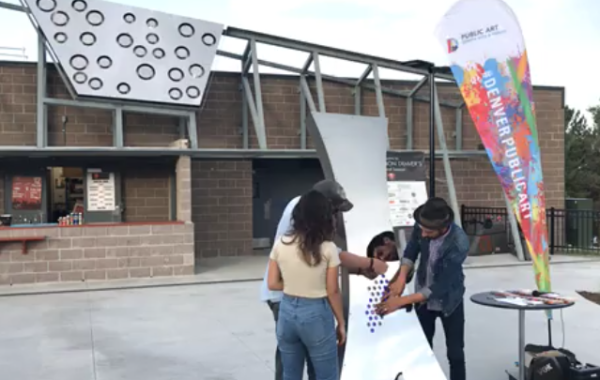 Across the country, engaging public art is energizing outdoor Levitt concerts with even more creativity. The result? 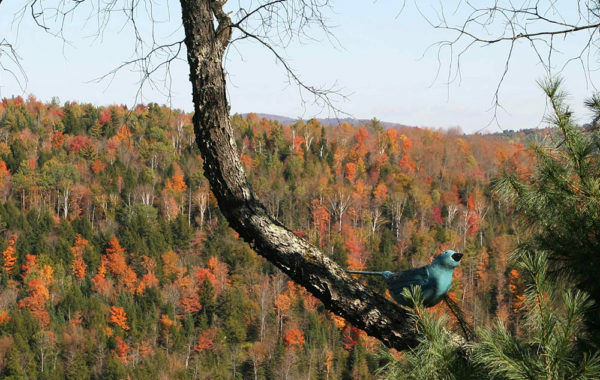 Multidimensional experiences that are ripe for participation and discovery. 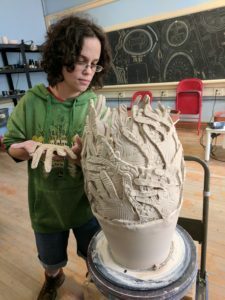 Levitt AMP Utica vase-making project coming to life. 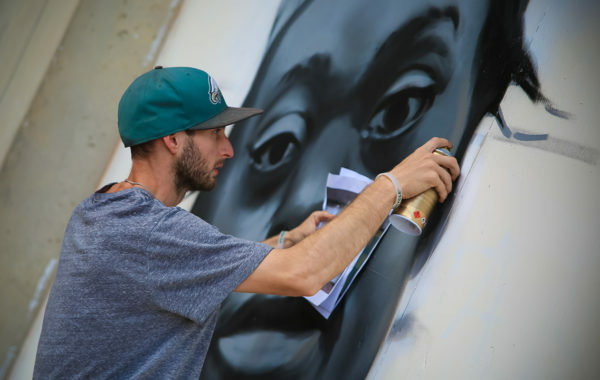 With music filling the air at New Jersey’s Levitt AMP Trenton Music Series, concertgoers watched in awe from across the street as local artists transformed a desolate, condemned parking garage into a brilliant outdoor art gallery—one week and one mural at a time. A conversation between Trenton Downtown Association Executive Director Tom Gilmour and local Trenton artist Leon Rainbow about enhancing a community eyesore gave birth to ‘Murals on Front’—an 11-piece outdoor mural exhibit, featuring local artists and curated by Rainbow. 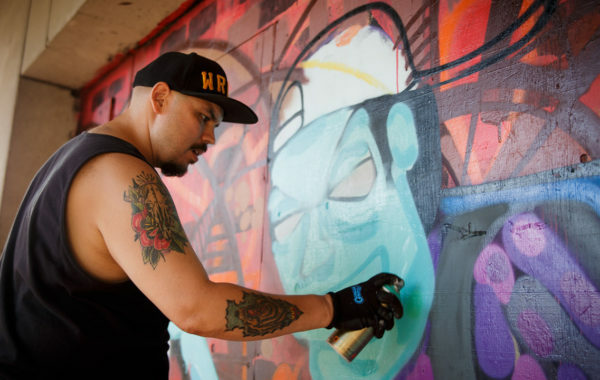 Each Levitt AMP concert brought a new mural, generating community excitement each week. 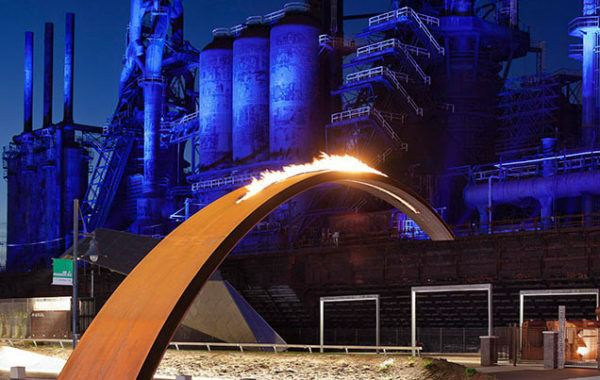 The project remains today, as part of Trenton’s public art walking tour. Art in its simplest form is communication. 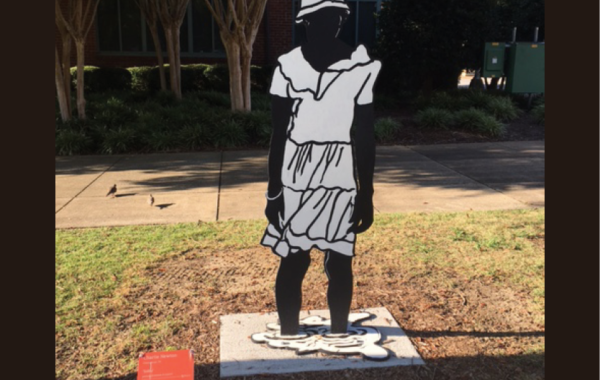 Whether it’s an installation or a free Levitt concert, art in public spaces sends messages about what’s important to communities. 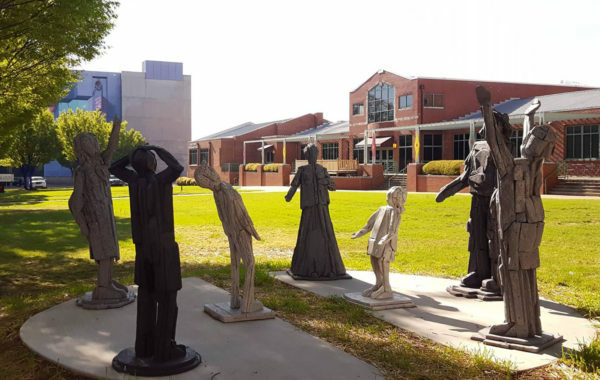 And across the country, communities have turned to public art to celebrate the stories that have built their core identities and envision their future. DREAM sculpture near Levitt Pavilion Arlington. 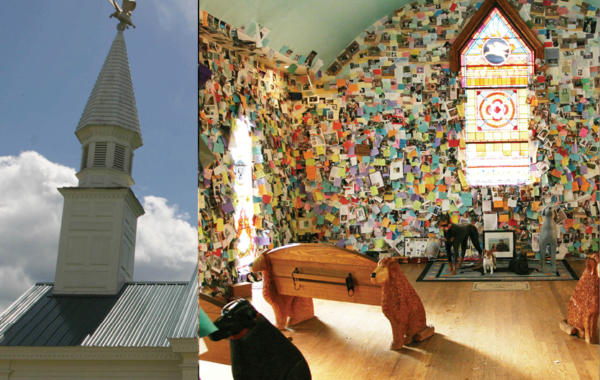 Art—in all its forms—helps turn places where people live into places that people love. 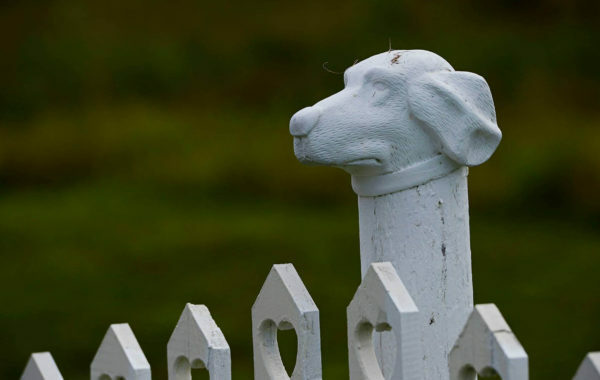 Like the Levitt program, the public art projects above position arts access, place and community at their core. 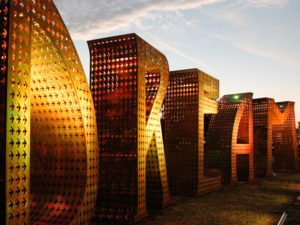 They’ve inspired people to gather and enjoy a communal arts experience, invigorating a local public space in the process. 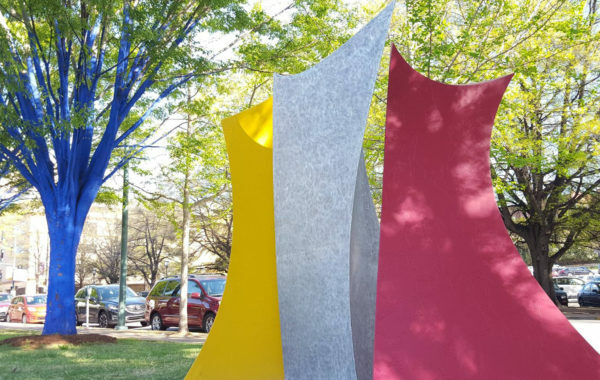 When layered with other community-driven efforts, public art is a powerful vehicle to deepen our connections with one another and to our shared past, present and future.